British Wrestlers Reunion - Microphone Maestro. Maestro of the microphone !!! Kent Walton was many wonderful and talented things but he was not a wrestler, he was wrestling !! Through his magical commentaries over thirty two entertaining years, many of my colleagues including myself became well known to the general public, enjoying a status that we did not deserve. His humour and easy going elegant laid back style, coupled with impeccable dress sense, gave a sartorial effect which belied a consummate dedicated Professional who moulded his craft to perfection. 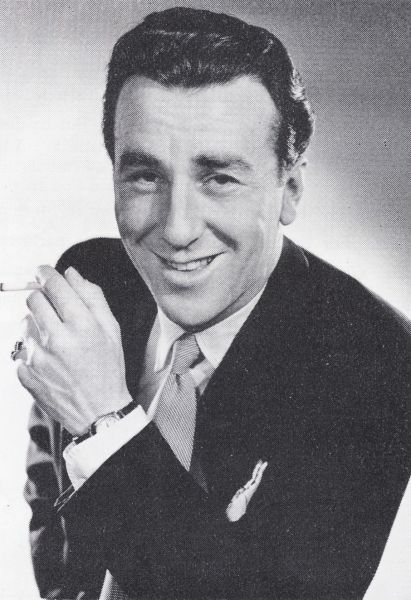 Until his appointment to the small screen in 1955, wrestling had appealed to only a minority audience, and the risk that he took by accepting the challenge was immense, when you consider that he was already a celebrity in his chosen field of entertainment, as sports organiser on “Cavalcade of sport” for Independent Television. culminating in the West End production of the same play. Many film roles followed starting in Rome with small to medium parts. His first lead came in 1953 co-starring with Donald Houston Susan Shaw and cricketer Denis Compton in “Small Town Story”. Regular T.V. 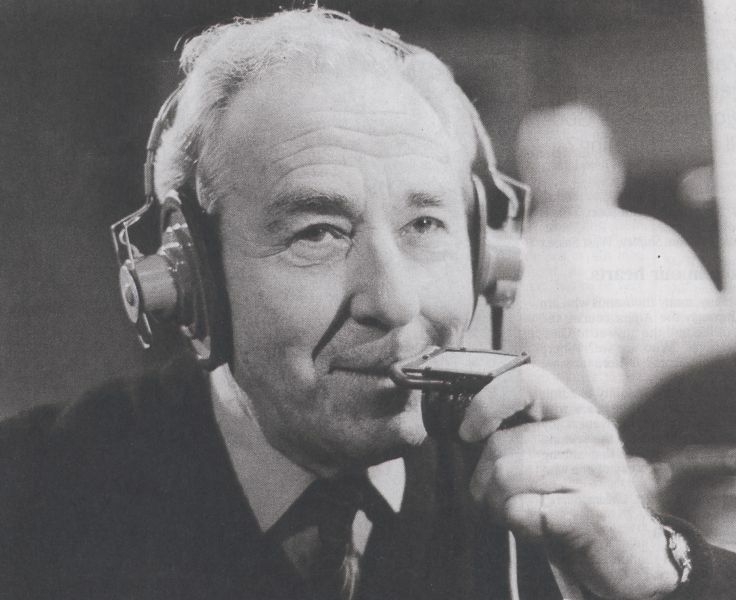 and film appearances followed until the advent of Independent Television in 1955, when he joined Associated Rediffusion as sports commentator, concentrating on football, tennis, hockey, ice-skating, and finally of course, wrestling. Concurrently, he compered several light entertainment shows such as “Answers please”, and the fantastic “Cool for Cats” which was the trend setter for every pop show since .Later, he co-devised the “Disco A Gogo” show with pal : Ker Robertson for TWW. Kent needn’t have worried about taking the wrestling spot, because with his midas touch, the entertainment medium took the Country by storm. The first broadcast was traumatic for him, because he had no knowledge of the subject matter at all, but in true Walton style, studied many books, and took advice from Jack Dale of Dale-Martins, the late great Mike Marino plus many more. Legendary star :Jackie Mr. TV Pallo sat beside him throughout the first transmission to guide him when required. The rest is history, with every village and town in the UK showing wrestling, sometimes weekly !! Venues such as the Fairfield Halls drawing regular audiences of 2000 fans. The prestigious Royal Albert Hall would attract over 7000 dedicated followers, including film stars, television celebrities and of course Royalty. Wrestlers enhanced their own coteries with fan clubs mushrooming everywhere. Even Her Majesty the Queen and Prince Philip were glued to the box when “everything stopped at four o clock”, to quote a Walton phrase. It was the birth of the superstar, and none more so than Kent himself. At one time his fan letters totalled more than 1500 per week. Viewing figures went through the roof , often exceeding 14 million fans, which was unheard of for one sport. On one occasion, there was a recorded 17 million audience, tuned in to hear him say the magical words “Hello grappling fans” in his rich Mid Atlantic accent. Although born in Cairo, Egypt, to English parents, Kent served with the Canadian Air Force during the conflict, and adopted his accent which became his trade mark. By the mid sixties, this icon of the TV screens was one of the hottest properties on television, and in 1964, he was invited to become anchor man at the Olympic Games in Tokyo. The most prestigious spot in TV !!. Outside of commentating, he kept busy with various business interests such as Consultancy, Journalism , Commercial Radio, Film exhibition Coy etc., and even published a bestseller called “This Grappling Game” which has become a classic historical account of our beloved business. His thirst for life never diminished and was recently taking piano lessons, right up to his death’ He even recorded his own soliloquy which was played at his cremation in which his piano skills were interspersed with speeches and singing to his beloved family. Wrestlers like Jackie Mr. TV Pallo or Wayne Bridges who had the honour to sit with Kent during some of those heady TV broadcasts, doing the inter round commentaries often recalled that one of the most memorable facets about this man was his ability to remember names even if he had only met the person once. It is my privilege and honour therefore to pay this tribute to one of the greatest broadcasters of our generation. Sadly, his untimely death prevented this tribute, but his widow: Lyn and Son : Lee graciously allowed us to pay our respects by awarding the plaque posthumously, which was done at his memorial service in the company of Steve Veidor, “Judo” Pete Roberts, Prince Kumali, Bob Anthony, Wayne Bridges, and myself :Frank Rimer, who represented the whole wrestling fraternity. Kent Walton, you were the epitome of professionalism, and the voice of wrestling on TV for all of us, whom we shall never see the like of again. May God bless and keep you in our hearts forever. Kent was a great Pro and a dear friend to every grappler. May he rest in peace. The world is a sadder place for the passing of this great man of TV. Please pass condolences to his family from both of us. I was there at the beginning and watched as he took wrestling and made it his own. I was proud to know him. Kent was a gentleman in the true sense of the word and a master of his art. We owed him a debt that cannot be repaid. Kent Walton was an enigma. A legend far beyond our reputations. Kent and I went back a long way. He was a dear friend and the consummate professional. I was sad to miss his funeral due to filming commitments, my thoughts were with his family on the day. Every now and then a great man passes our way and touches our lives. Kent Walton was such a man. May he rest in peace. Not one of us wrestlers would have been anything on TV, without Kent Walton as the anchor man. He is assured a place in history. I will miss my good friend. Kent was a pal to everyone. A gentleman in the truest sense. He is missed already. Kent and I were friends both on and off the screen. A great man , awesome actor and top broadcaster.